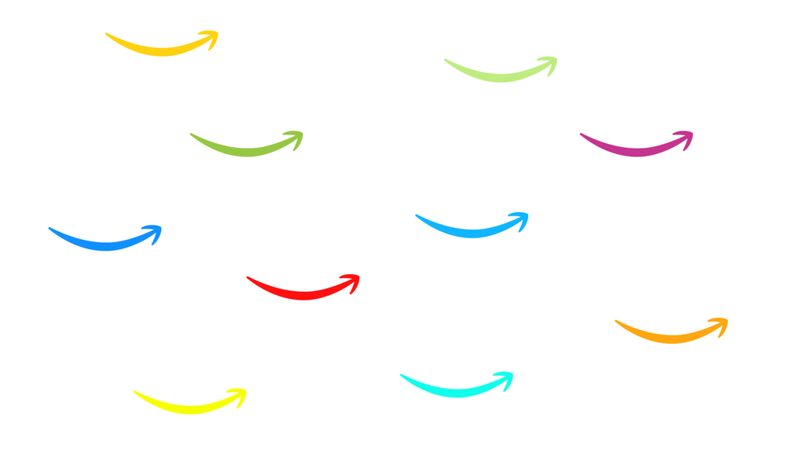 The Amazon brands lack a cohesive visual identity structure. It has commissioned multiple typefaces, and lacks a unifying typeface and logo architecture. Amazon has a laundry list of sub-brands, sewn together by the Amazon name. But the logos, typography, graphic style and color palette of each sub-brand is different and incoherent. First I tried to distill the essence of the Amazon brand. I looked through the advertisements, branding material, all their apps and other touchpoints, and after a lot of research, the iconic A–Z smile emerged as the strongest visual asset, and a value set based on customer-obsessed service. The logo was using the same old slightly condensed typeface, and was feeling a bit dated. So I began working on the logo, tweaking the smile, looking for that perfect typeface, tweaking it around and testing it out. Color is a key aspect of any brand identity. Amazon has a broad range of sub-brands, which poses a challenge to providing diversity and consistency. The logo has to work great at a broad range of sizes, in print or physical material as well as digital. It has to be highly legible at the smallest of sizes on small displays, yet look elegant when splashed across a jumbo jet. I chose Calibre, a geometric neo-grotesque typeface, and converted the smile into a single piece, adding some more weight in the center and giving it more variation. 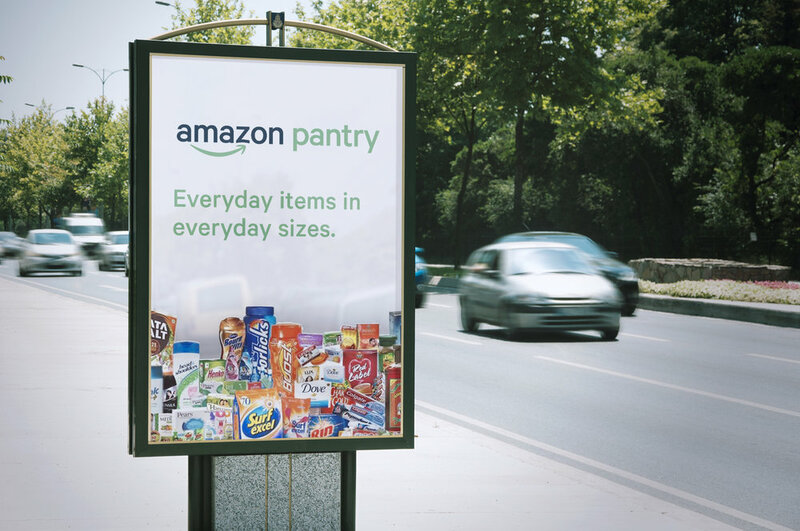 A single typeface, layout, and the iconic A–Z smile unify and streamline the Amazon identity across a laundry list of brands under the Amazon umbrella, and provide for scalability. After sifting through a lot of color combinations, I chose a base color, a characteristic Amazon orange for the core properties, a fiery red color for Fire and all the content brands, the Alexa cool blue color for Alexa and related brands, a deep blue for Kindle and related brands, and a green for all food-related brands and Amazon Pay. P.S. This is one of a series of fun concept projects I did when I was learning identity design. It might have some rough edges. More updates coming soon!